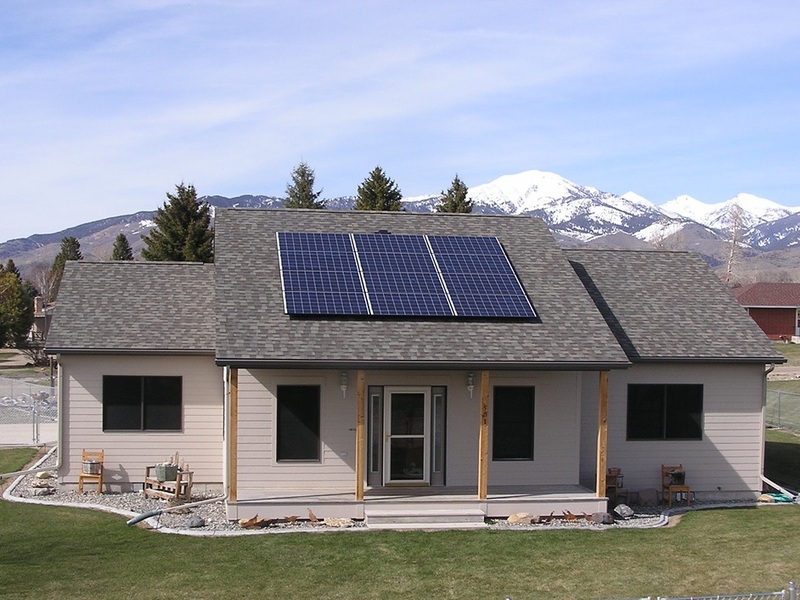 Montana Solar Solutions - Kenworthy Electric Inc.
As a certified Northwestern Energy solar installer, you can rely on our expertise to get any variety of solar projects completed. After several years of watching the renewable energy market develop, we decided solar photovoltaics would compliment our business offerings very nicely. We have spent a great deal of time and effort to educate ourselves in this very fast paced technology trend. 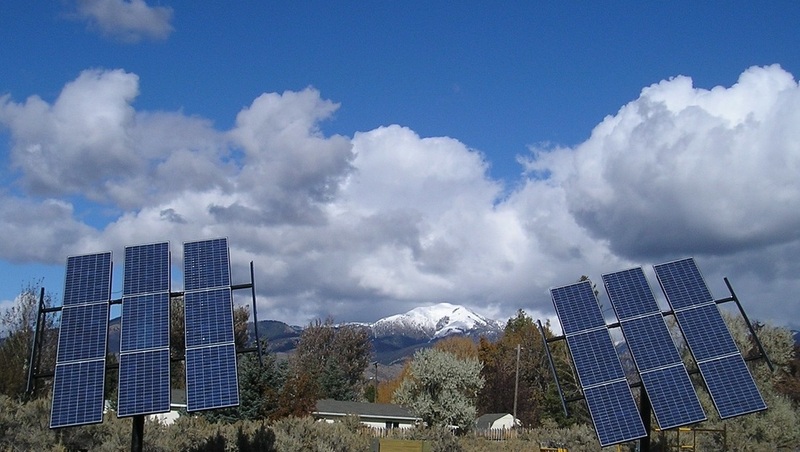 Recently we have completed both grid-tie and off-grid or stand-alone photovoltaic systems. Our product line is very broad with multiple suppliers providing us with the core essentials needed to design and build anything that your project requires. Our Largest Solar Project to Date! 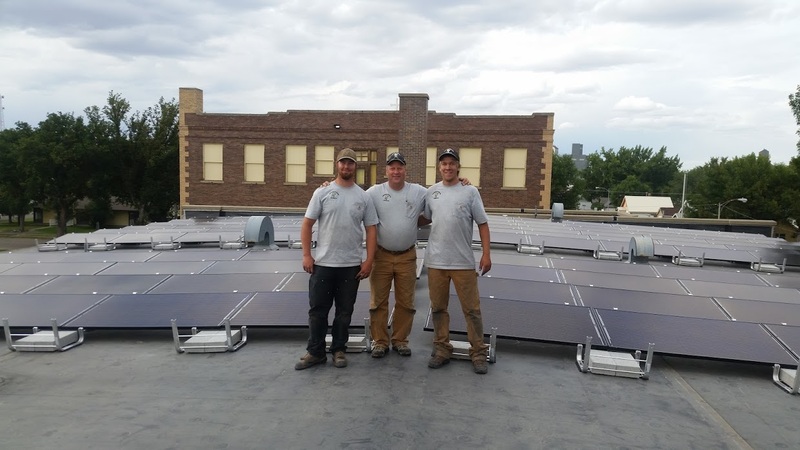 This is a 34.2 KW roof mounted system located on a school in Northern Montana was completed using USB Grant Funding provided by NorthWestern Energy, along with contributions from the school and another anonymous donor. 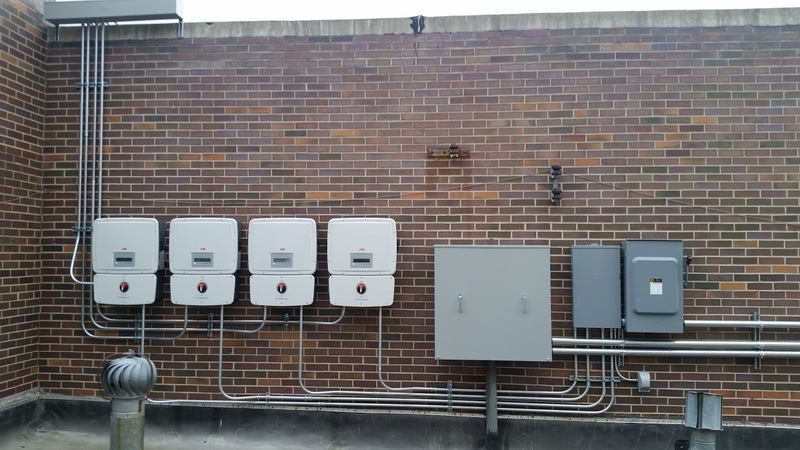 On the right, you will see the equipment required to convert the DC power generated by the solar modules to AC power in order to be used either by the school or sent back to the utility grid for a credit to the customer. 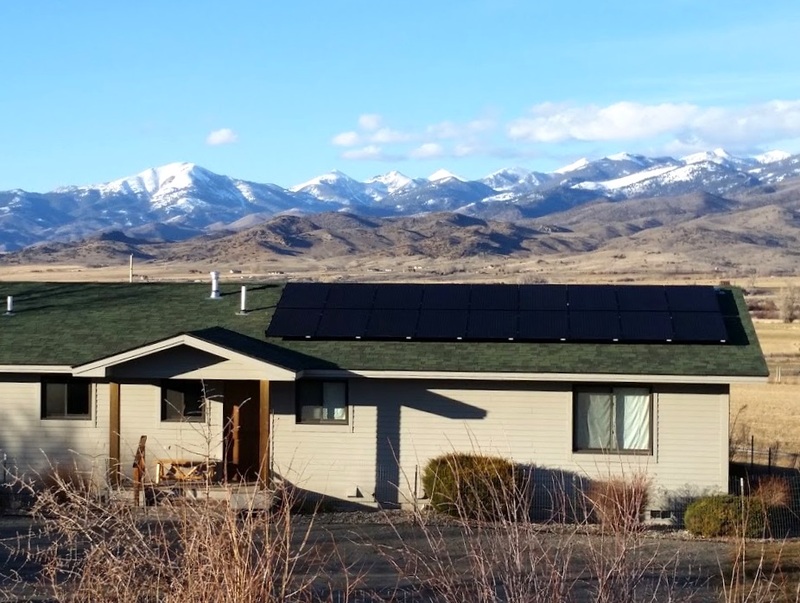 A neat and clean Grid Tie Solar PV Install in Sheridan, MT. This is just one of the many homes we have retrofitted to make Net Zero their primary goal for electric consumption. A clean roof mounted Solar PV array completed in the Ruby Valley. This system keeps the house on a Net Zero Electric Consumption on an annual basis. 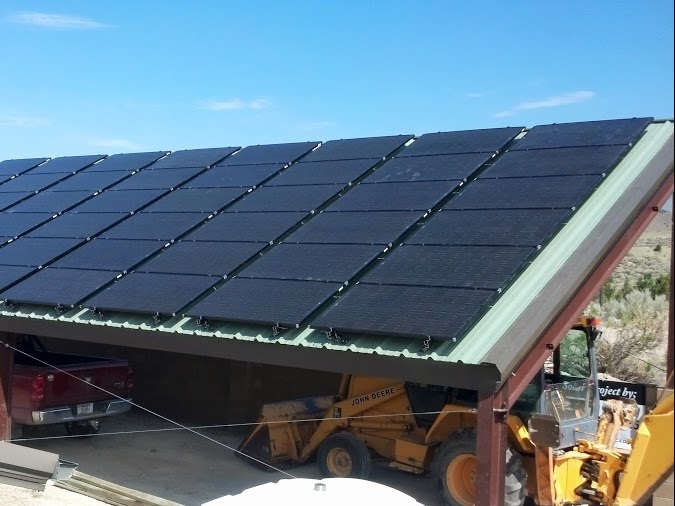 This ranch decided to utilize the solar support structure for equipment storage to help protect their trucks, tractors and other equipment from the elements. 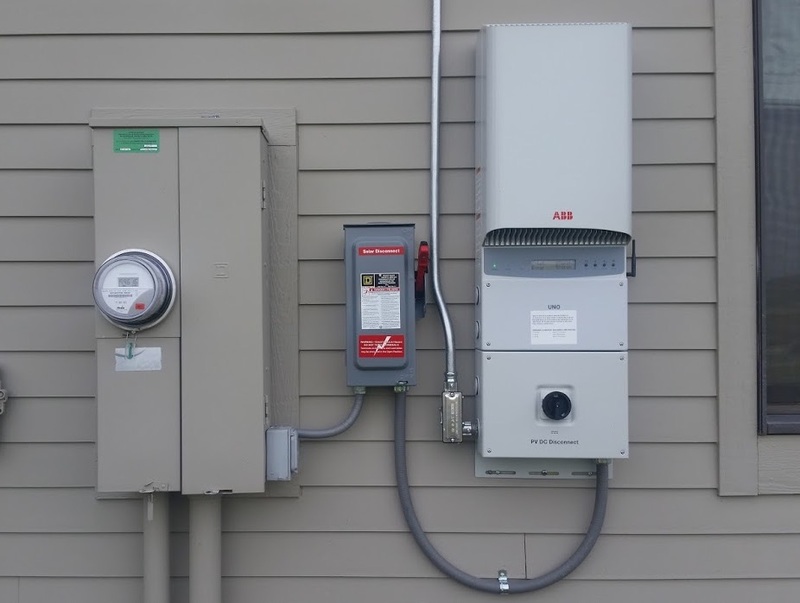 The inverter pictured above has a wireless card that sends all of the site data to a server for remote acquisition and troubleshooting should the need arise. With 4-5.3 KW inverters, this system has the robust integrity to keep the solar array up and running, and web based monitoring which allows performance tracking and sends alerts should there be problem. 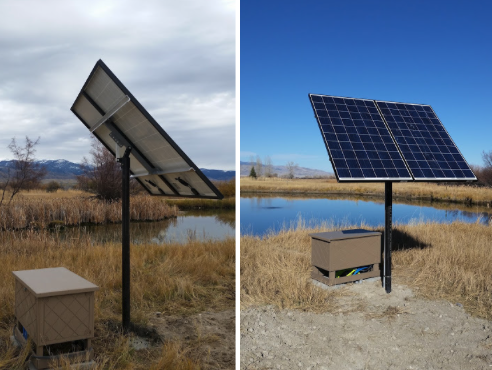 We have installed several of these solar pond aerators in the Ruby Valley area. They seem to be keeping the fish happy in all of the ponds that they have been installed in! 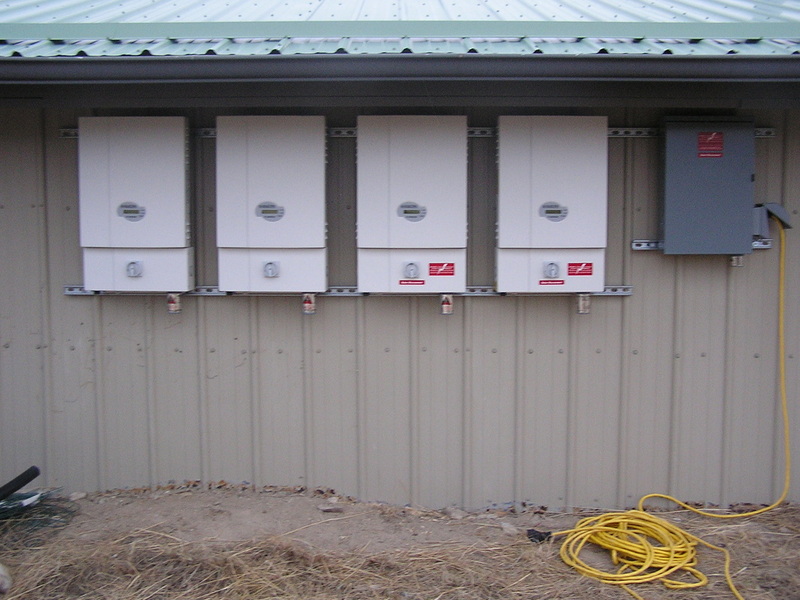 This dual tracker array with a single inverter has been supplying power to this Sheridan home since the fall of 2009 and according to its web based monitor it has produced over 47000 kilowatt-hours to the home as of Jan. 2017.